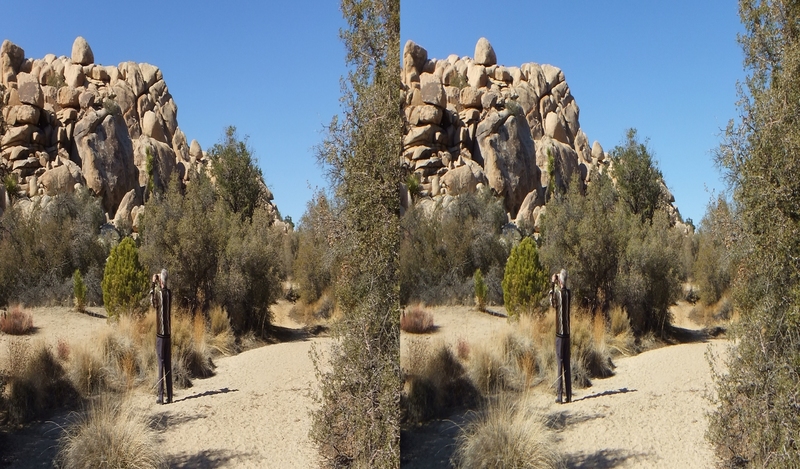 VISITORS TO SOUTH WONDERLAND and Wonderland Valley enter through the north-east corner of Queen Valley. 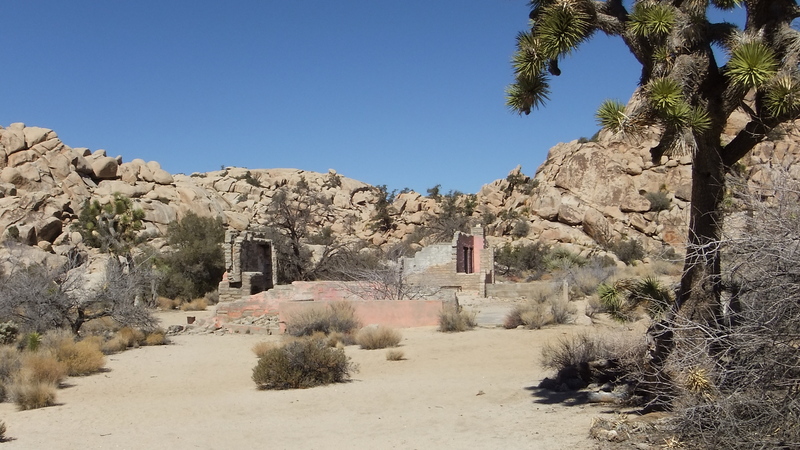 A small dirt lot with restroom facilities offers ample parking. 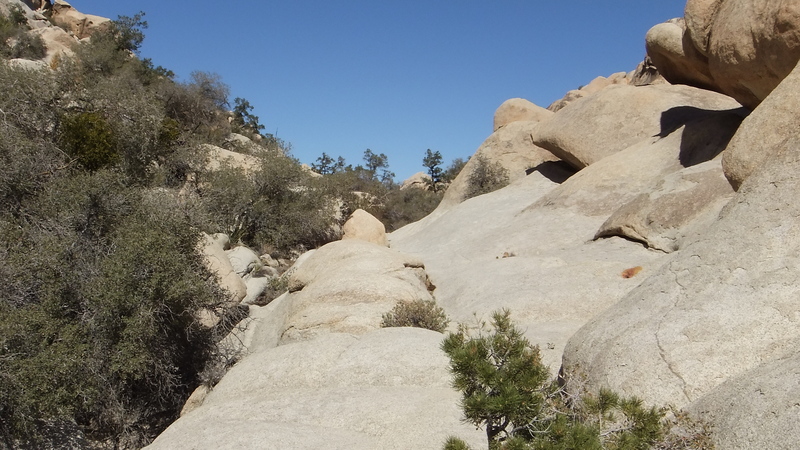 The only scrambling you may encounter is this flat, easy to navigate stretch of about 75-100 feet along the right side of the wash. 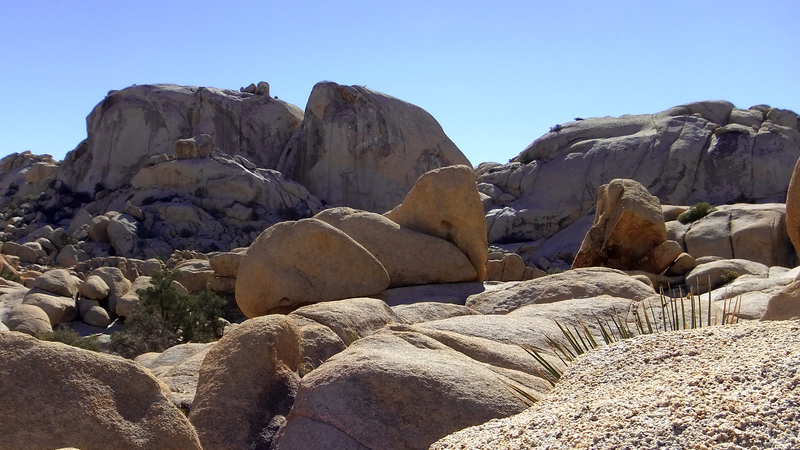 Follow the well-worn footsteps of previous hikers and you cannot miss it. 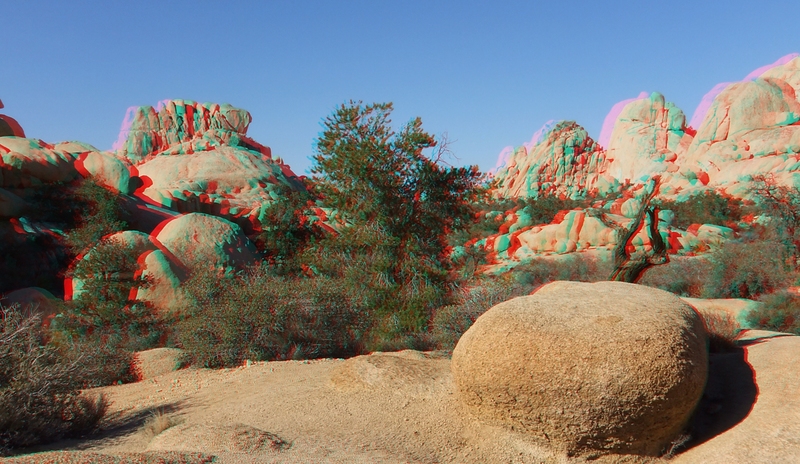 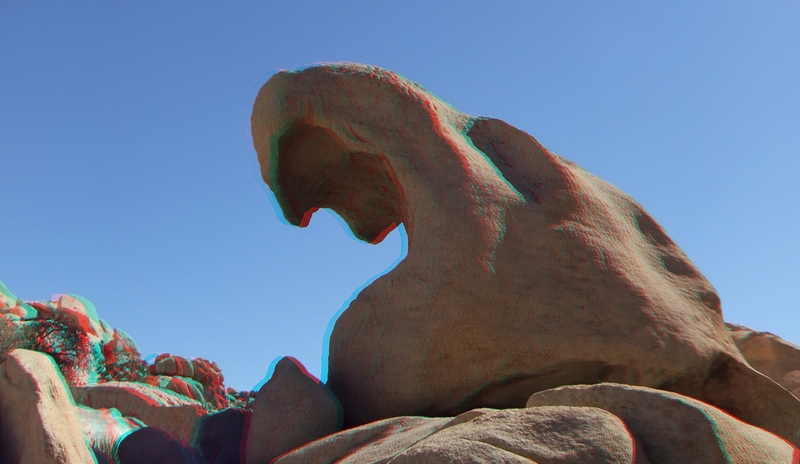 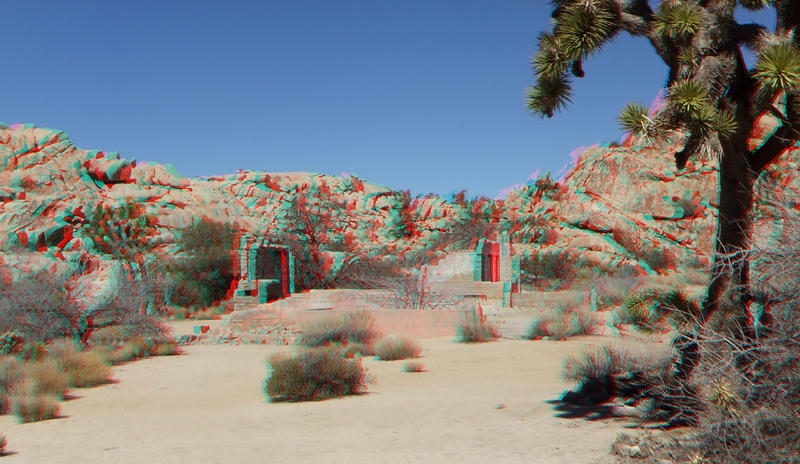 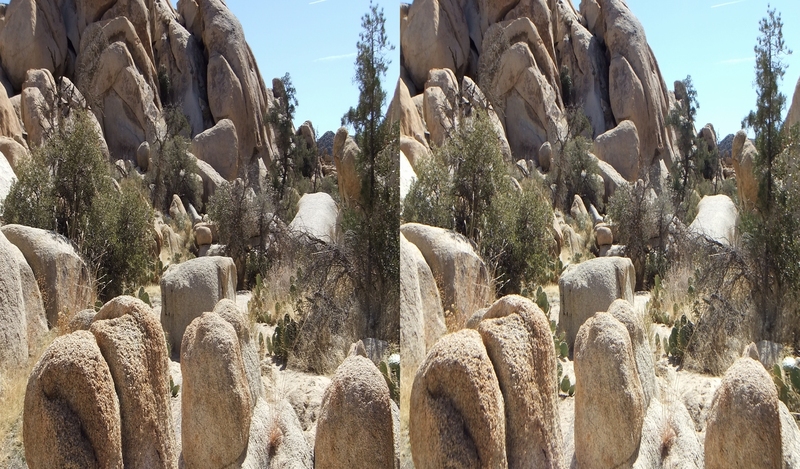 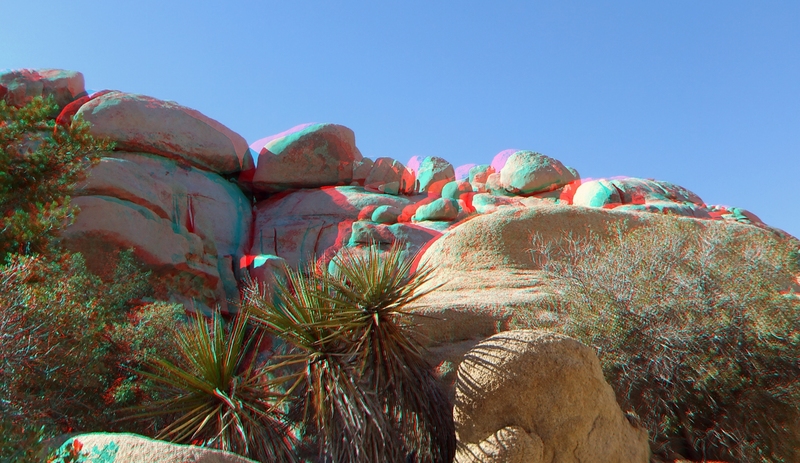 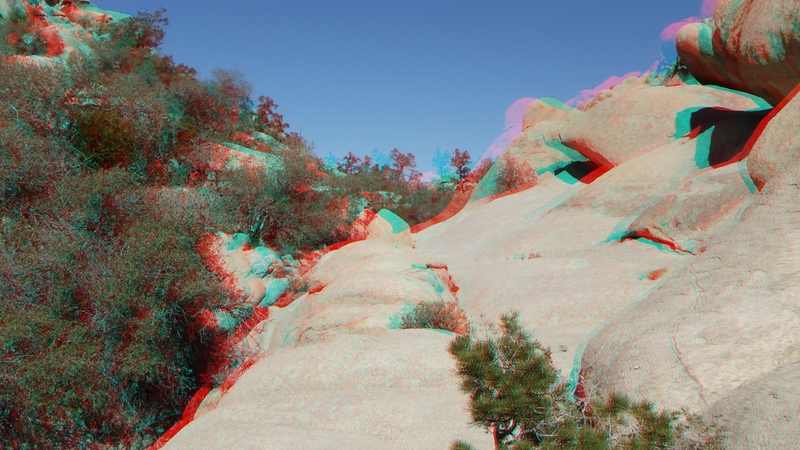 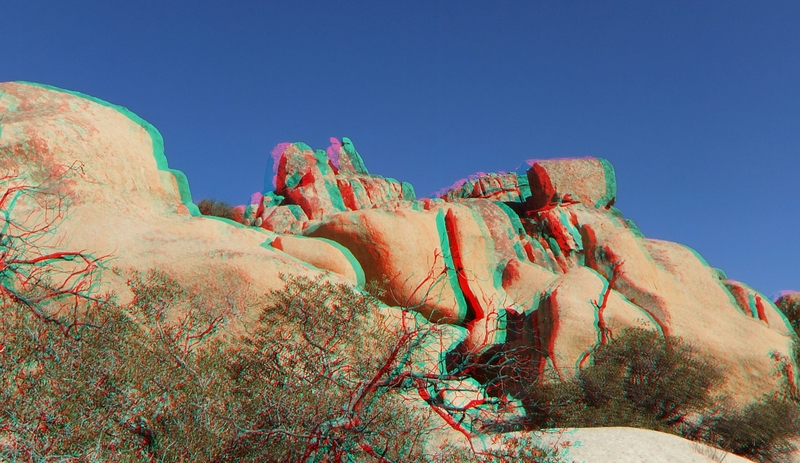 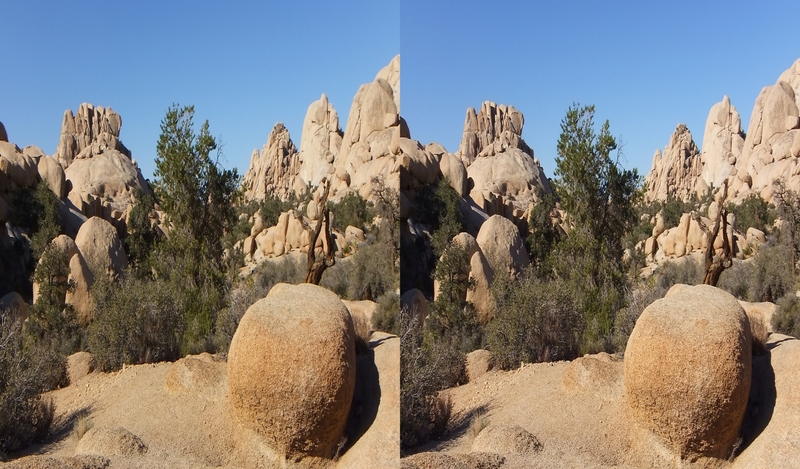 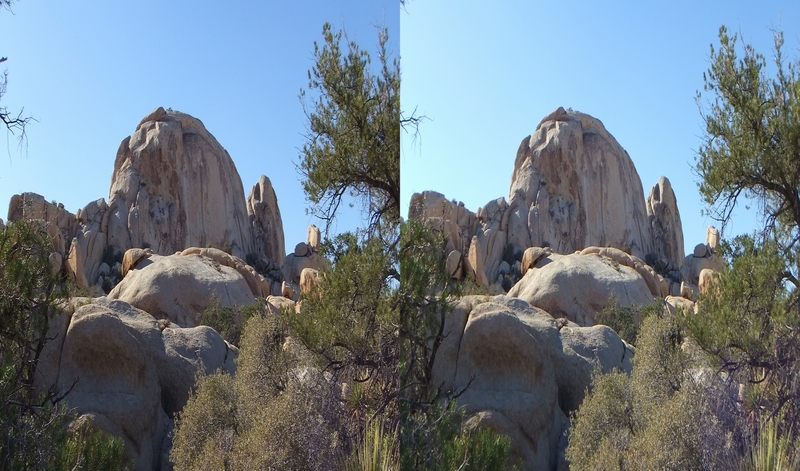 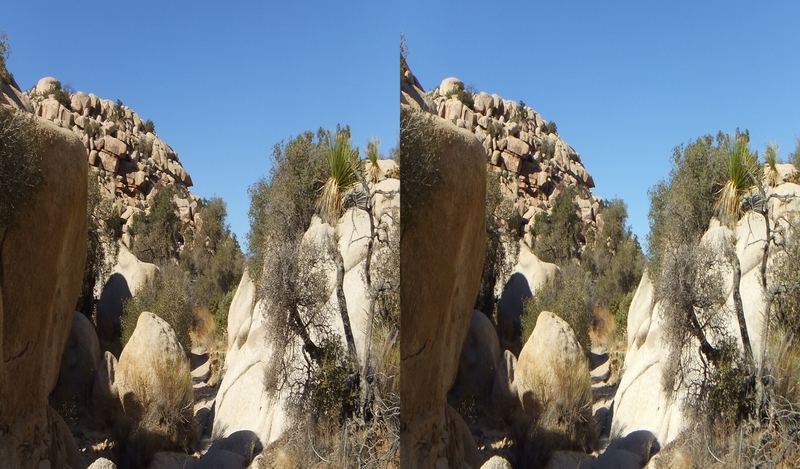 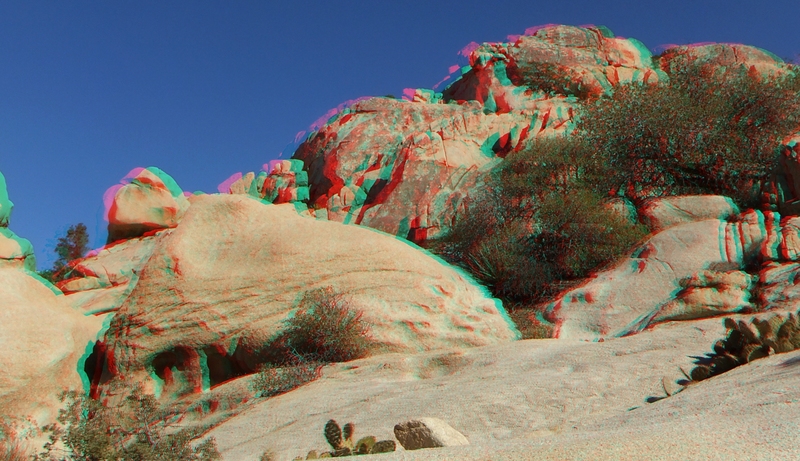 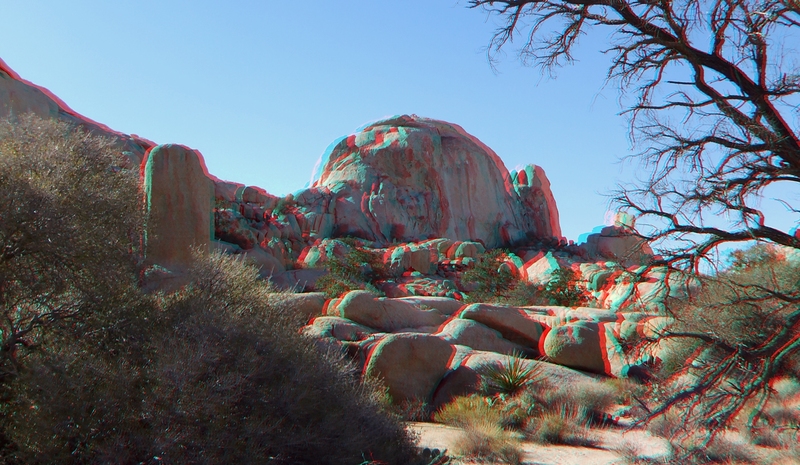 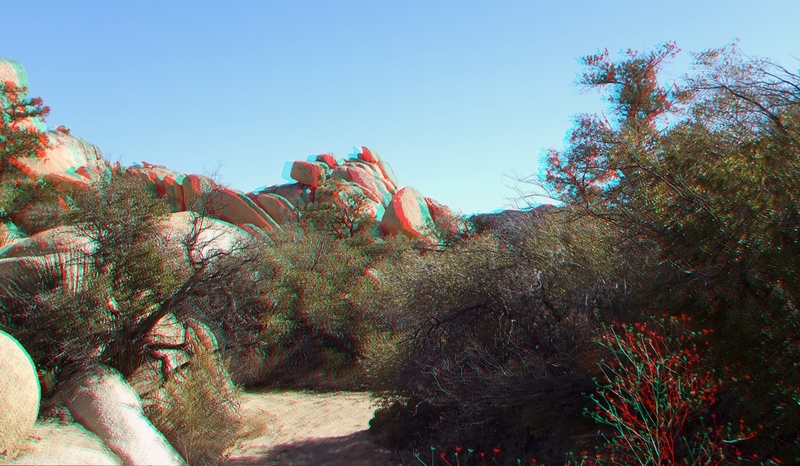 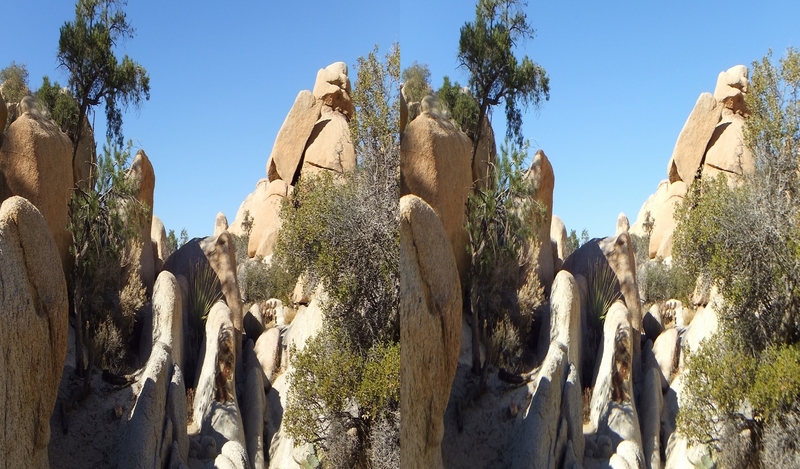 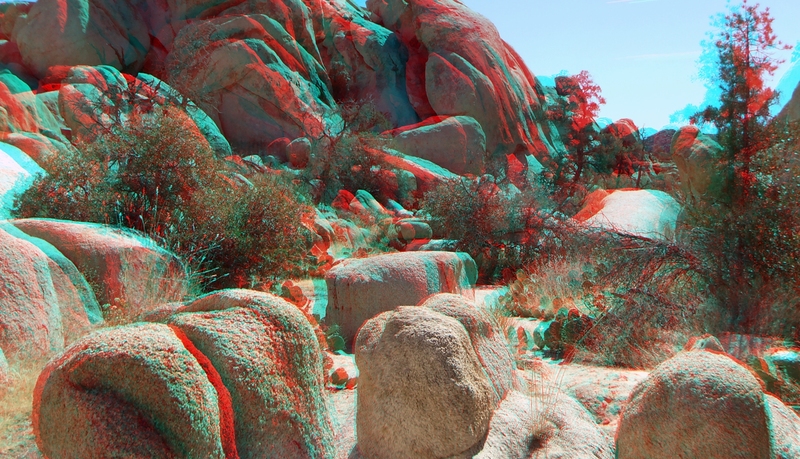 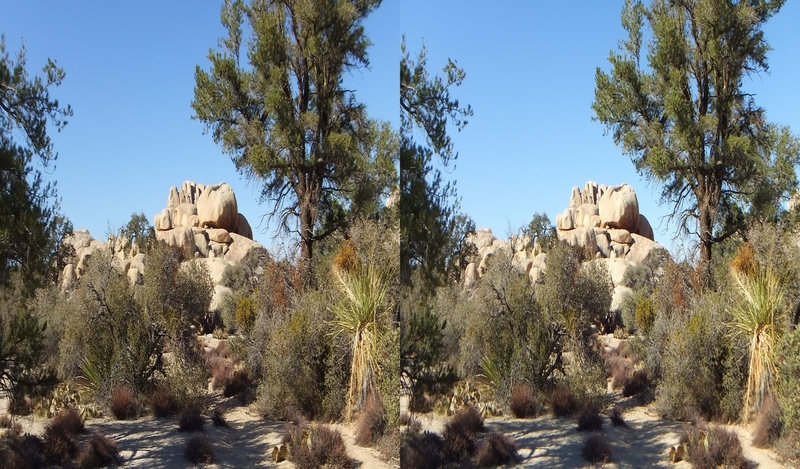 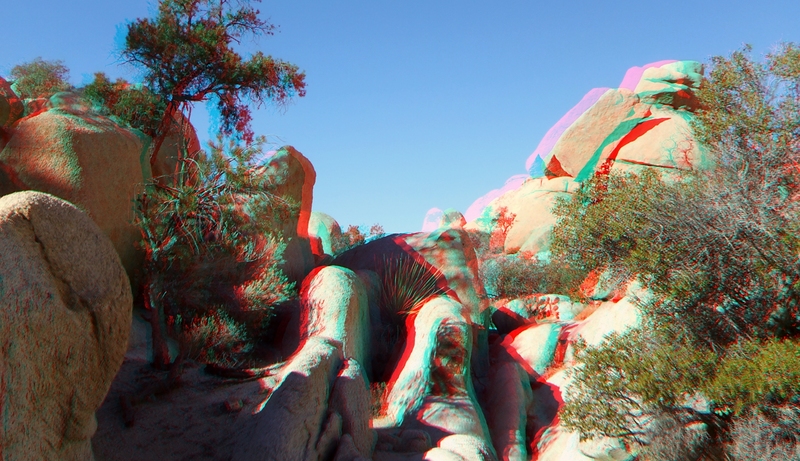 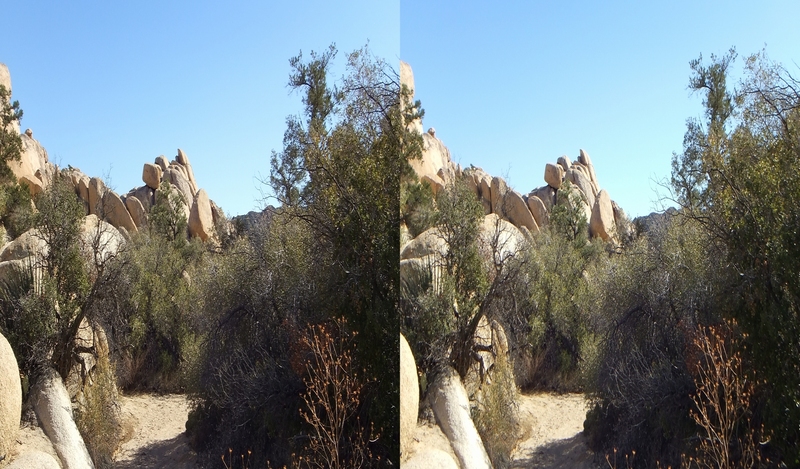 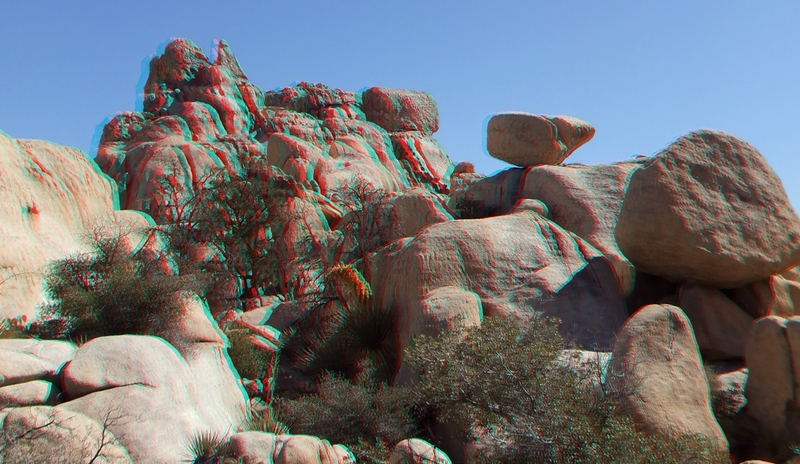 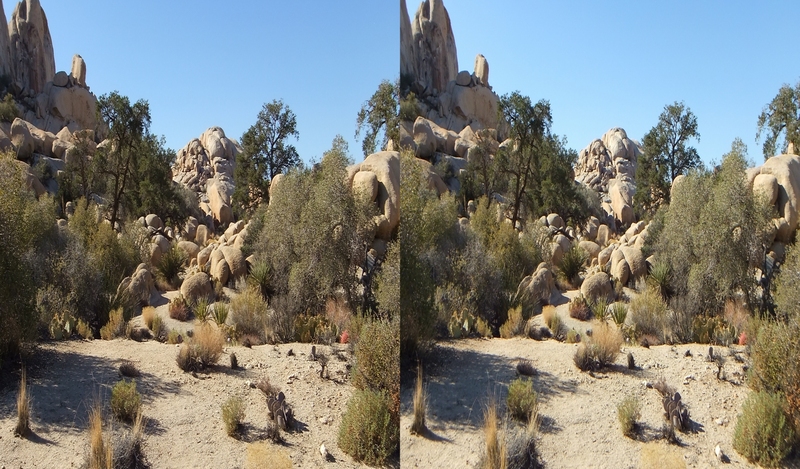 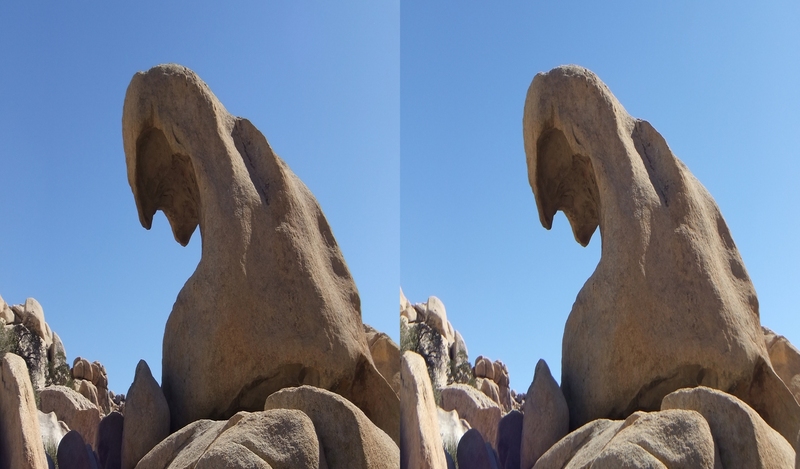 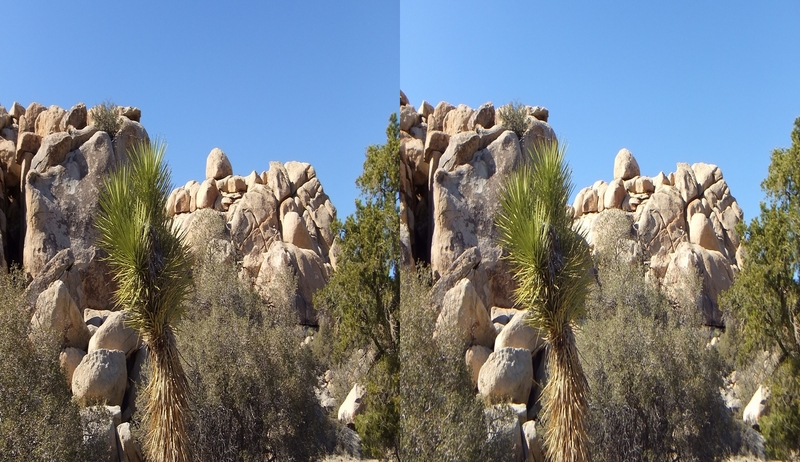 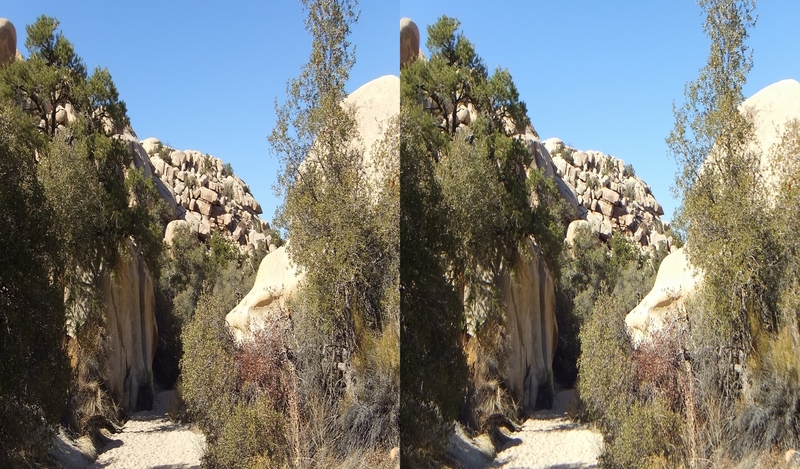 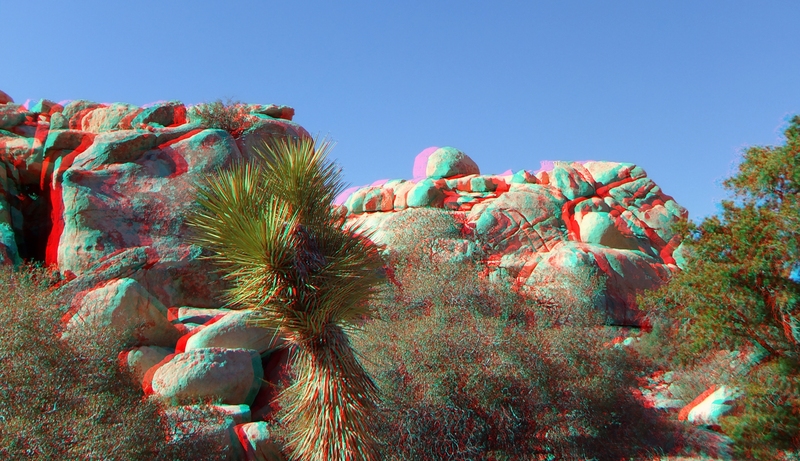 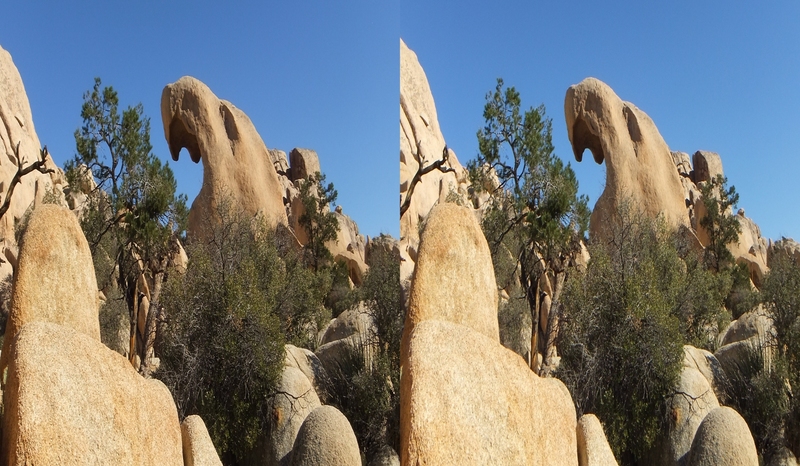 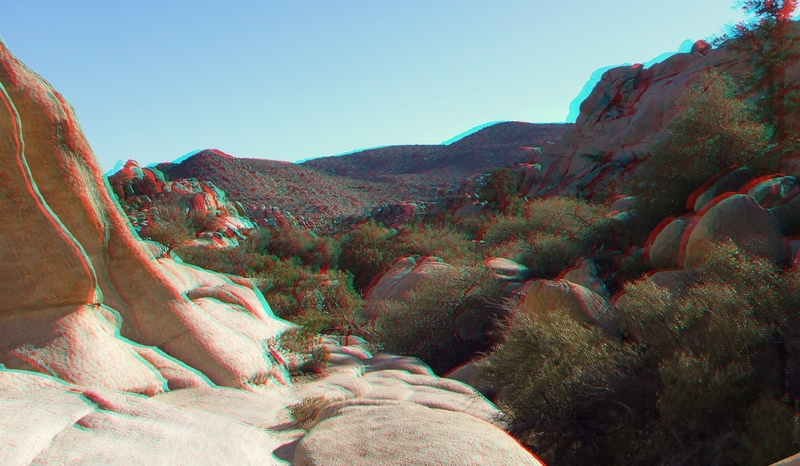 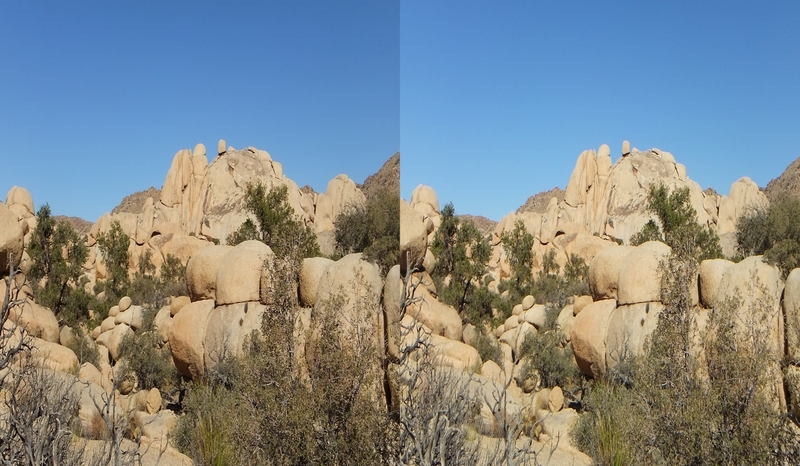 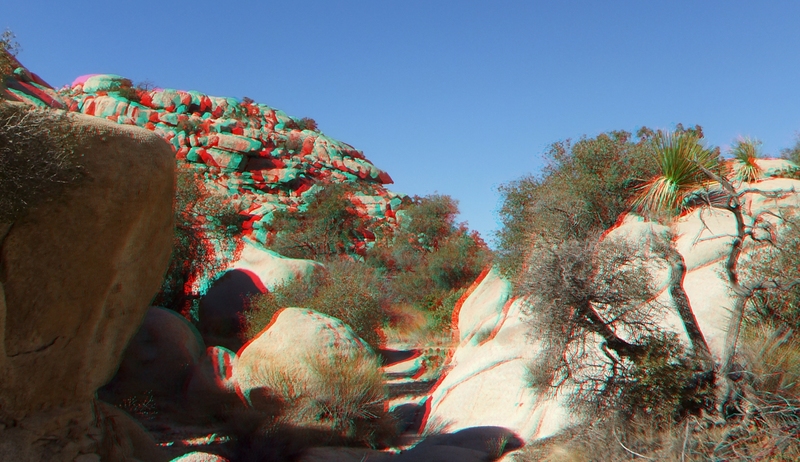 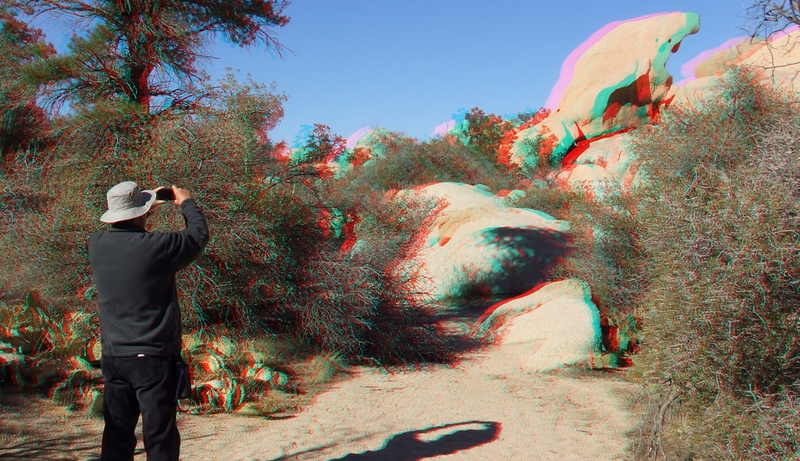 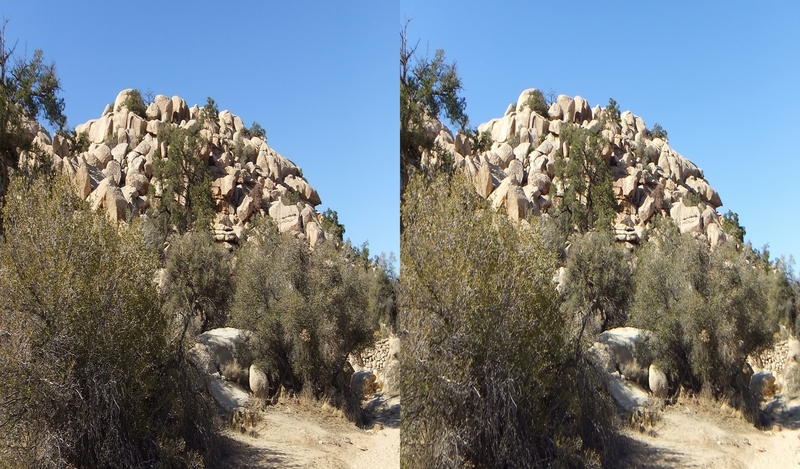 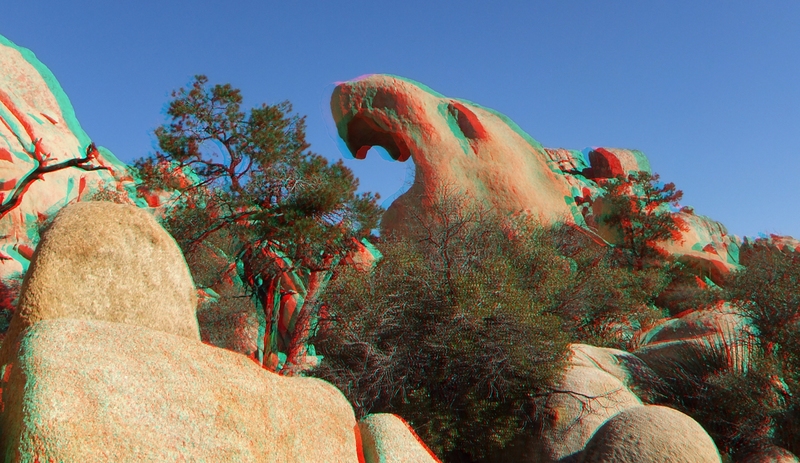 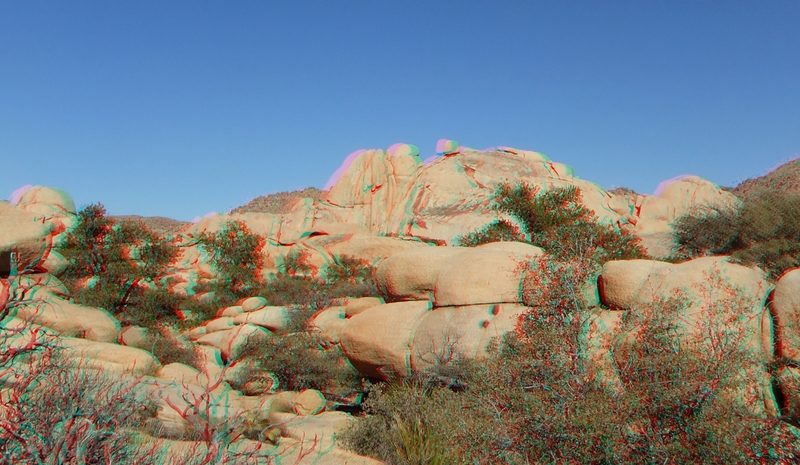 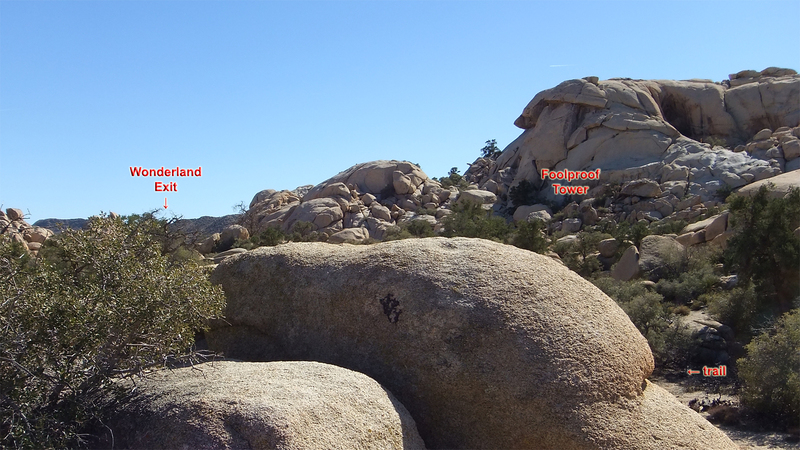 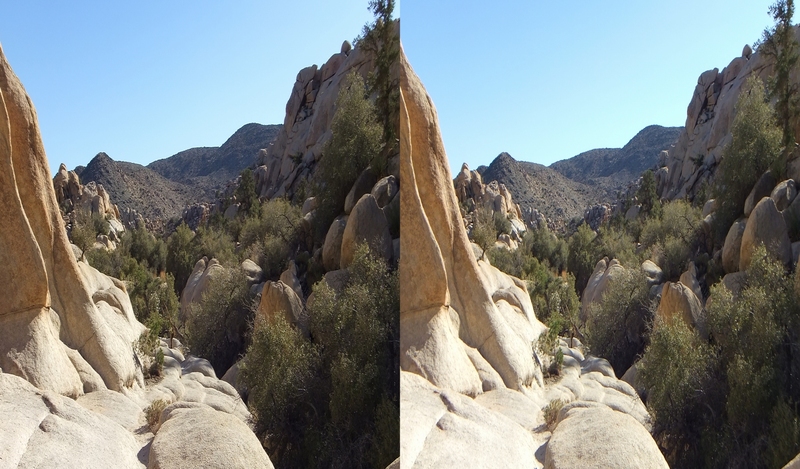 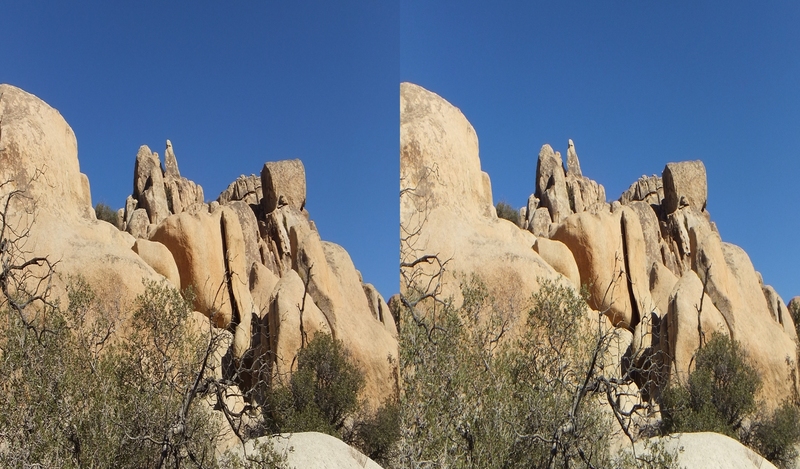 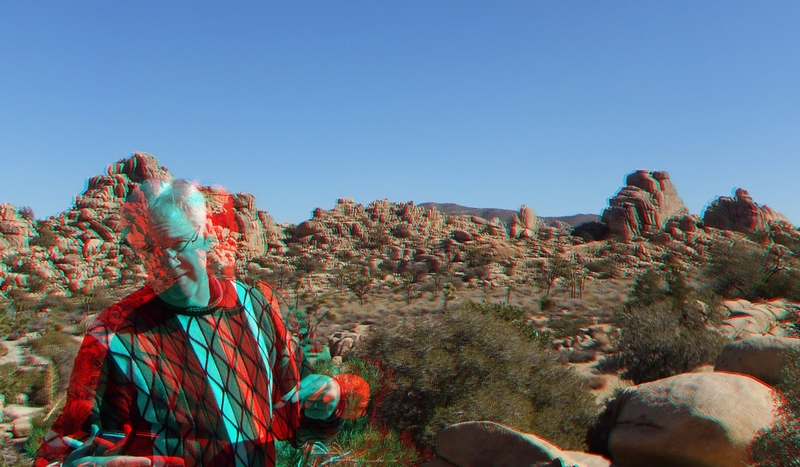 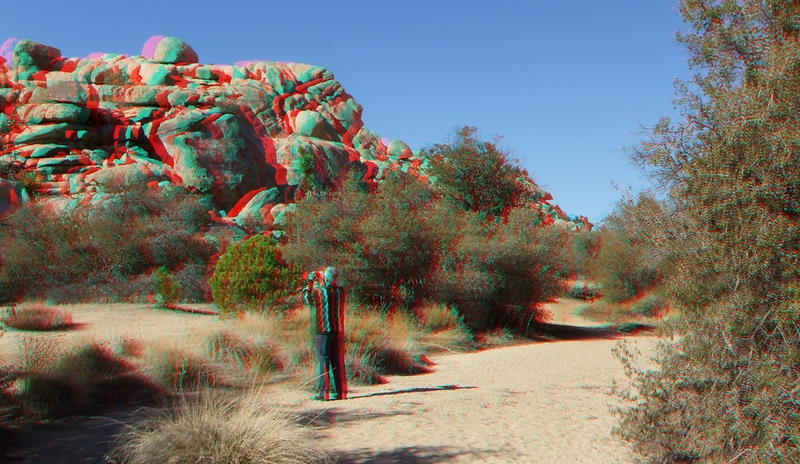 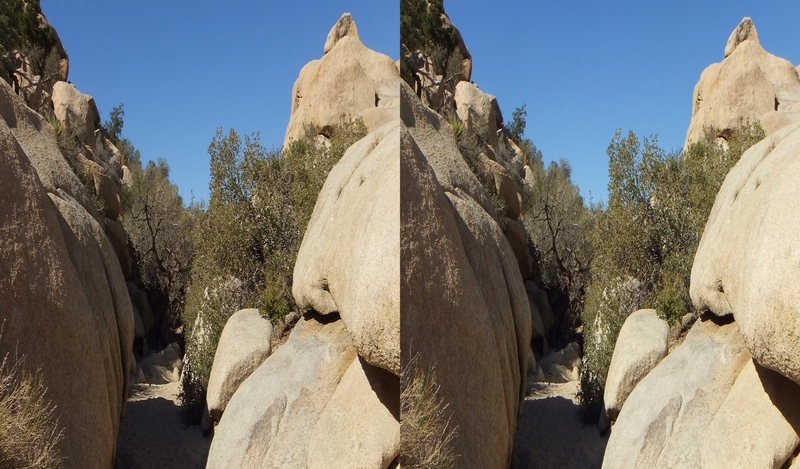 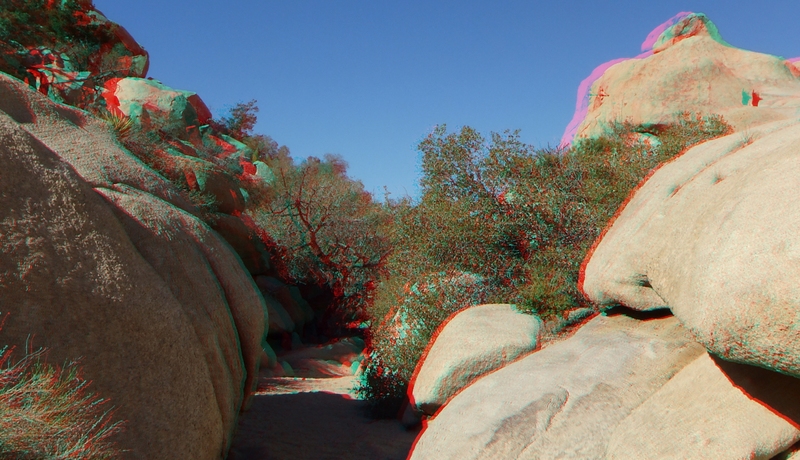 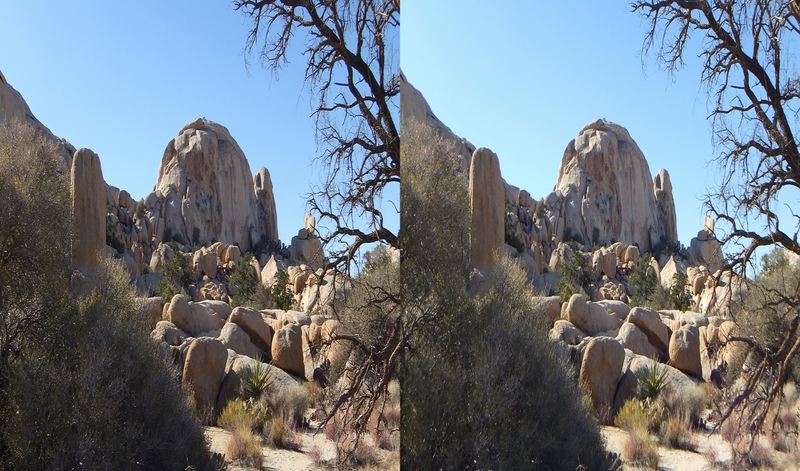 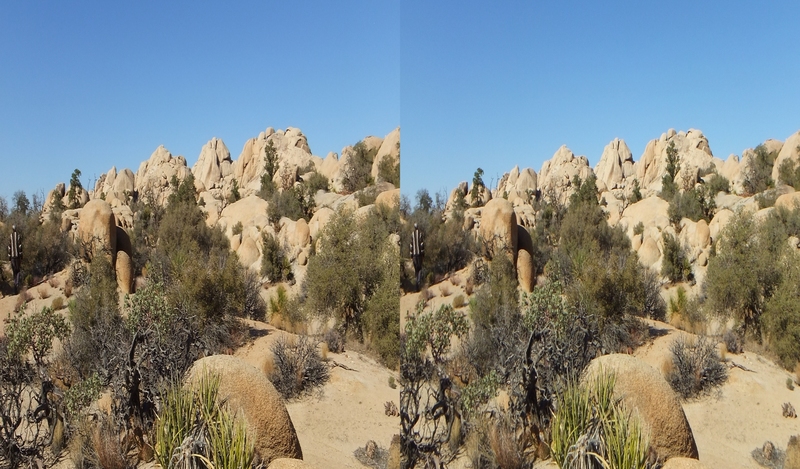 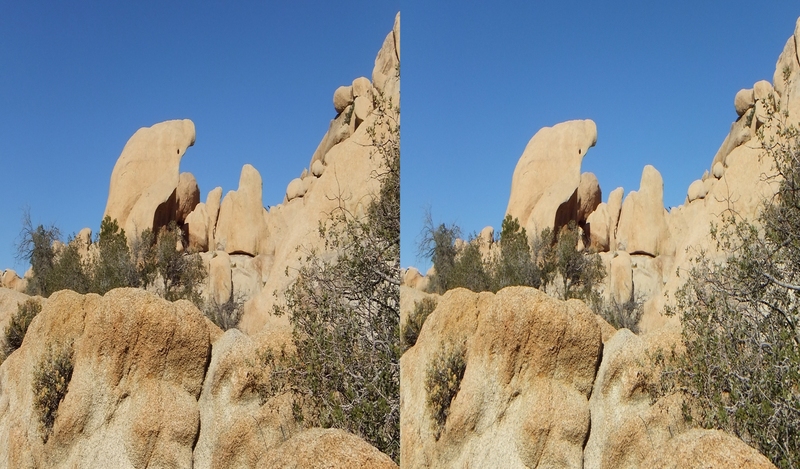 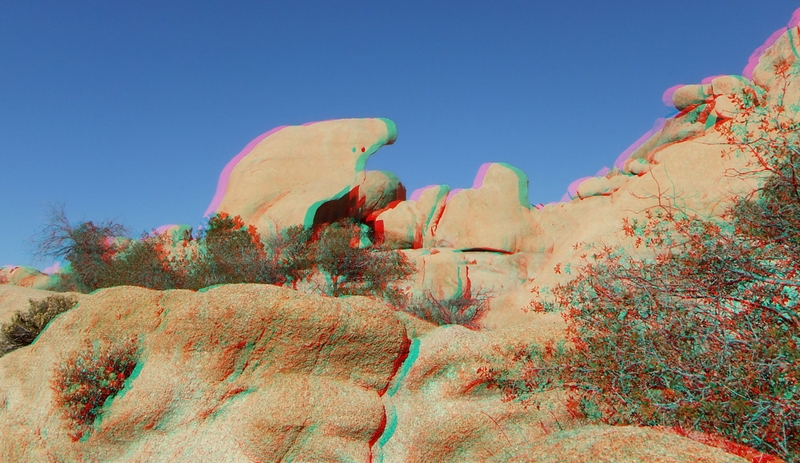 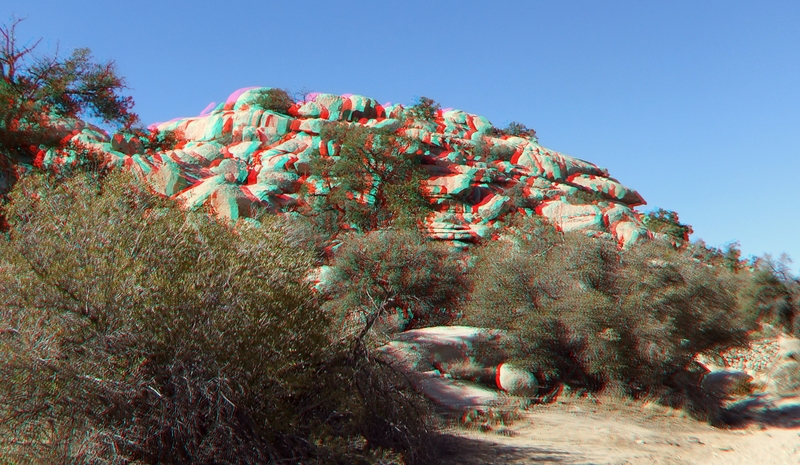 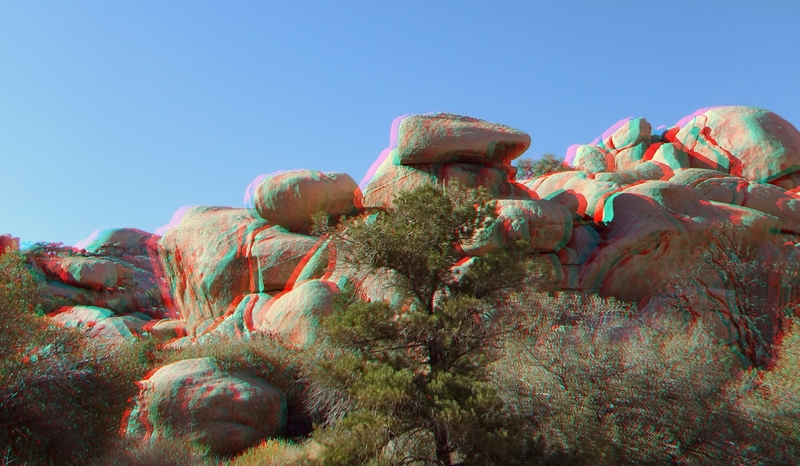 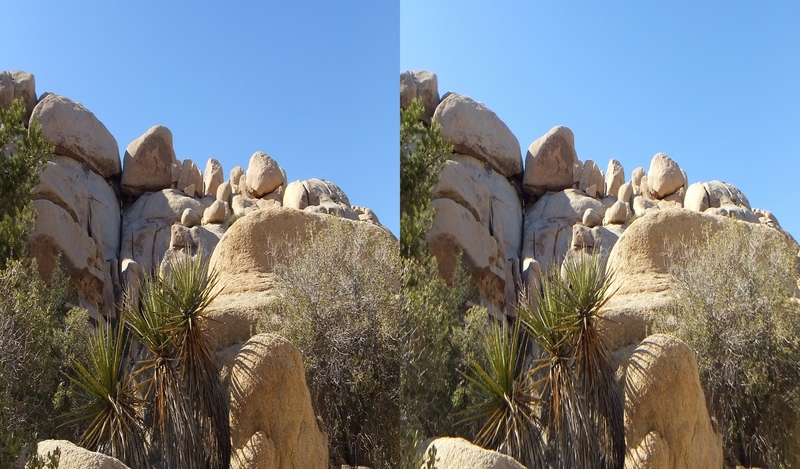 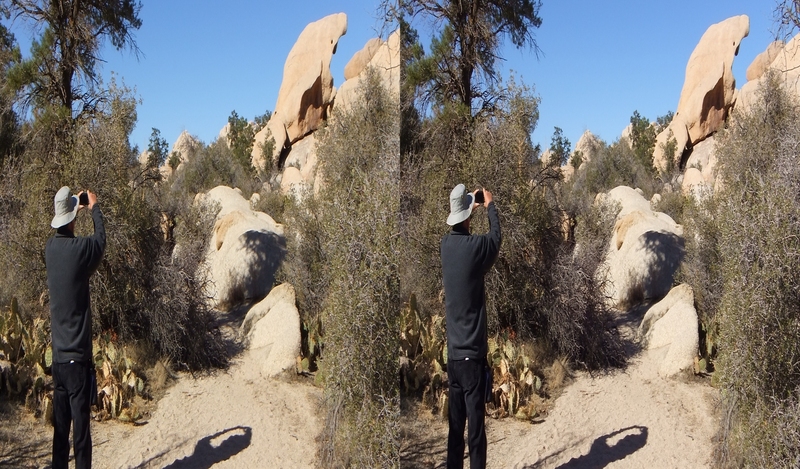 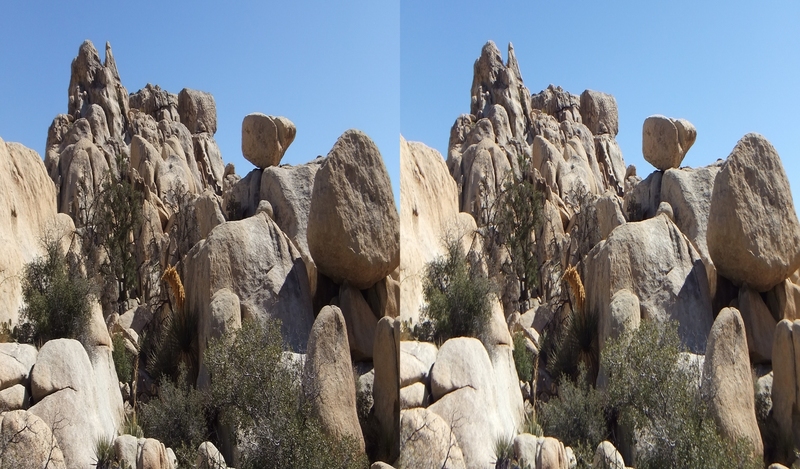 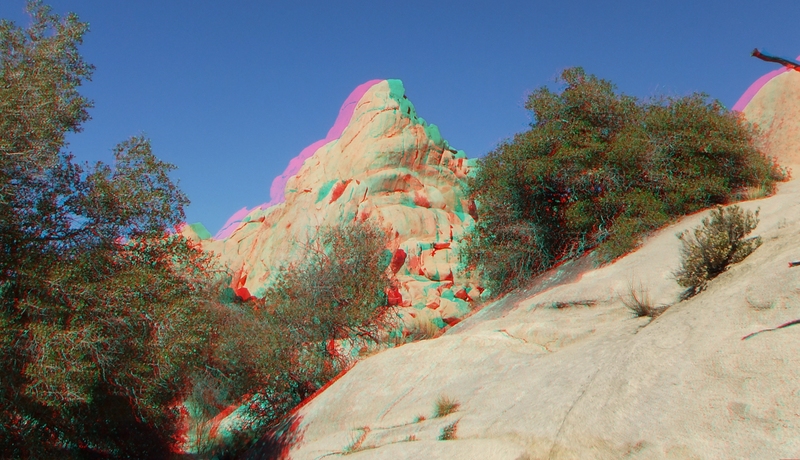 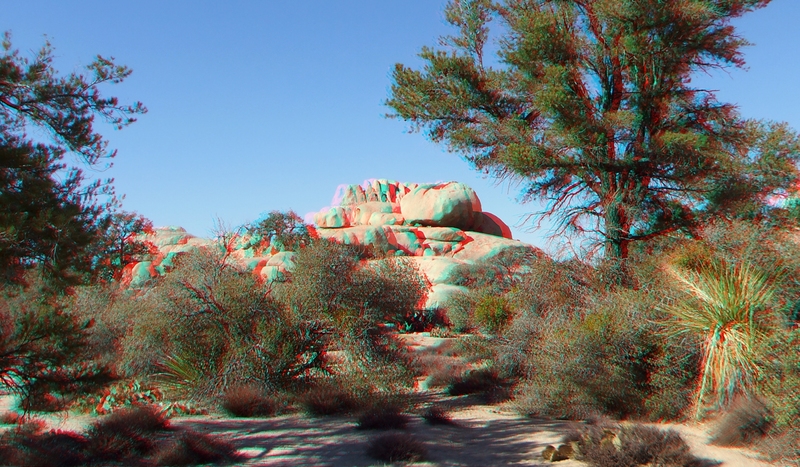 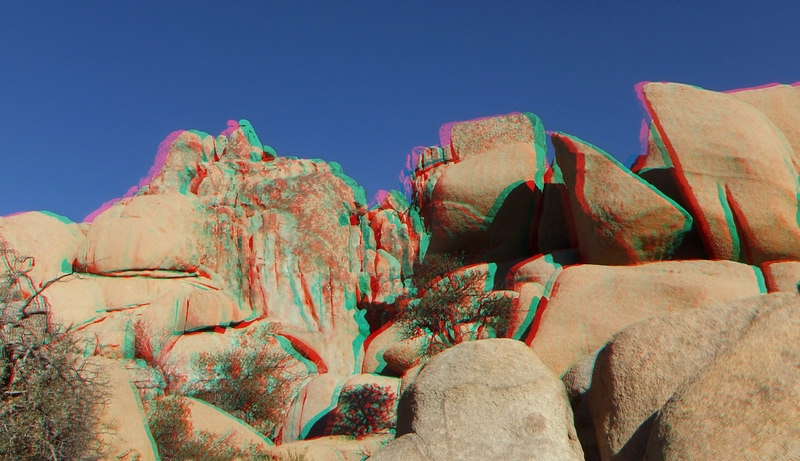 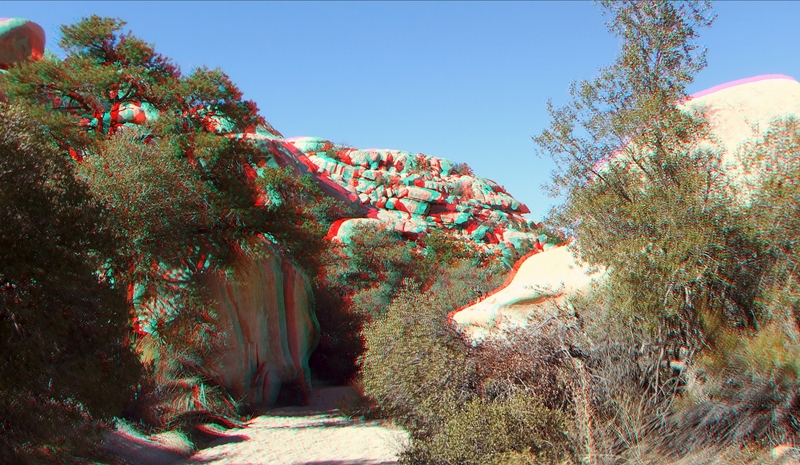 Shortly after you pass The Creature (see 3D Anaglyphs below), the trail enters Wonderland Valley proper where you will be flanked by Cuddlebone Dome, on the right and Foolproof Tower, left. 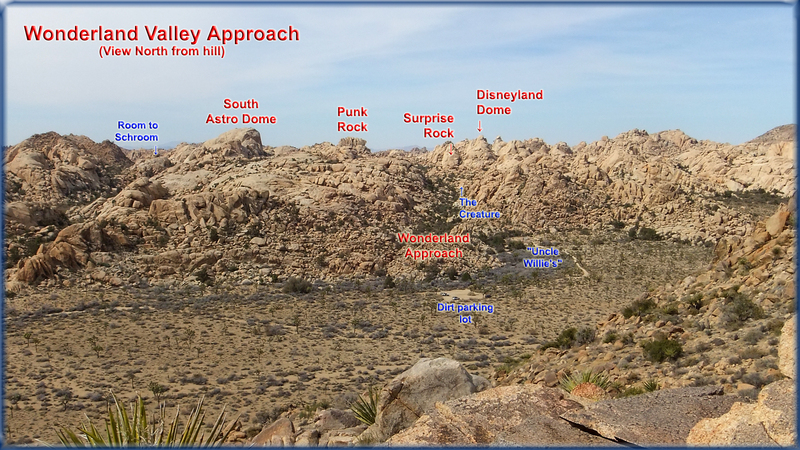 Beyond lie the two dominant granite blocks in this part of the South Wonderland, the Astro Domes and Punk Rock. Hikers who plan on exploring further should make a mental reference in order to find your way back to the main wash and parking lot. 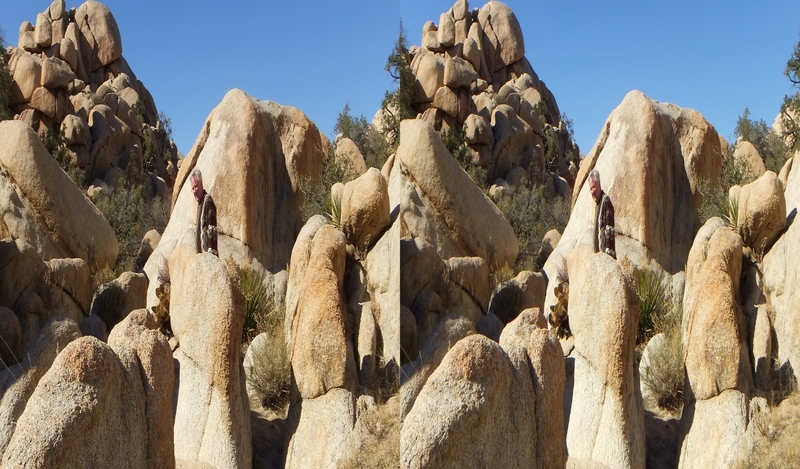 Leaving Wonderland Valley, aim in the general direction of (first) the “Astro Domes,” and then pass under the left side of “Foolproof Tower” recognized by its prominent roof on the top—ahead lies the wash you are looking for. 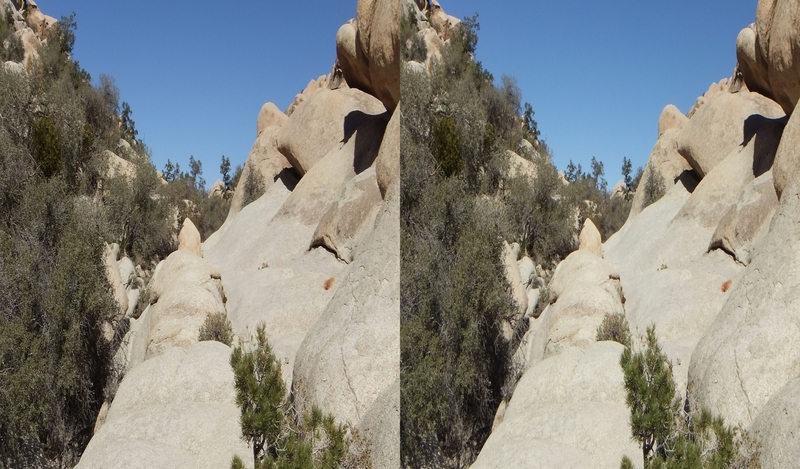 Lining either side of this narrow passage into the Wonderland of Rocks are several climbs that aficionados of the sport have named as follows: Ash Gordon, Sergeant Rock, Previously Unreleased Material, Bankrupt Wall, and Fire Me a Burger. 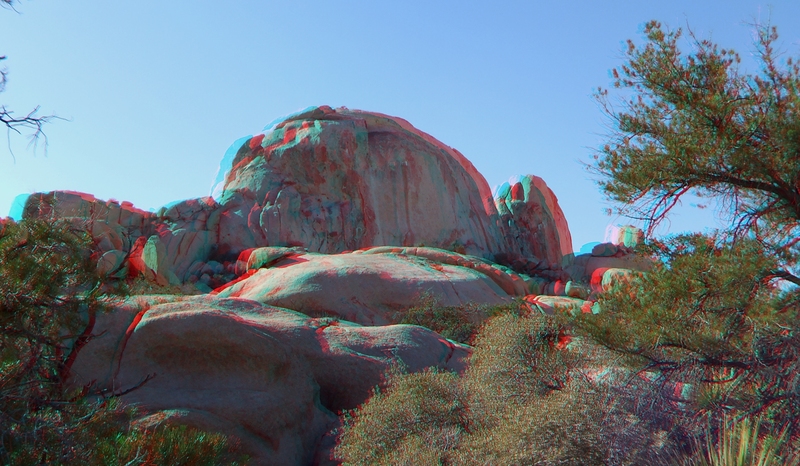 Thank you for visiting Wonderland Valley Approach. 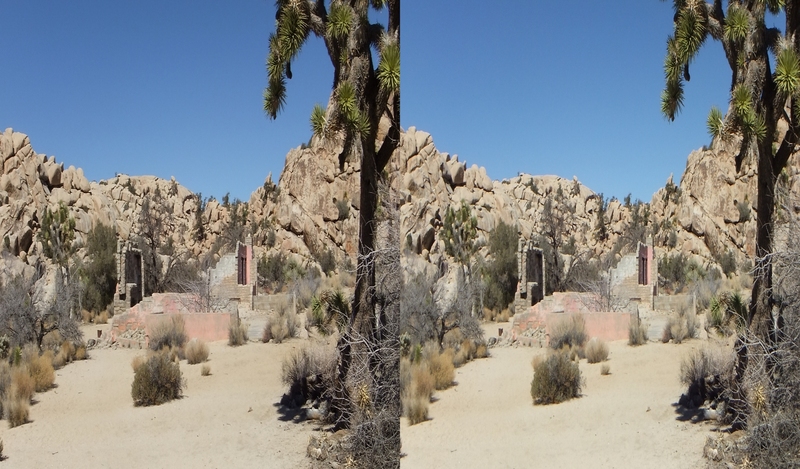 There is much more to find in the other Galleries, linked to from the Main Index.